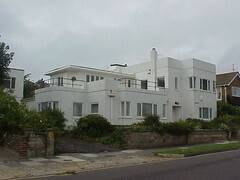 This wonderful house is in Saltdean, near Brighton on the south coast of England. It is now called Bethany but in a former life was know as Bedford and according to 'The Ocean Hotel, Lido and the War' at www.saltdean.info, the house was central to The Saltdean Fellowship, a self-help residents organisation whose objectives were 'tending to casualties, helping the homeless destitute through war and organizing first aid and home nursing classes and also organising working parties for providing required items by the fighting and mercantile services, providing social functions and to generally promote a sense of community spirit'. 'Most Fellowship meetings were held at 'Bedford', now 'Bethany' in Arundel Drive West, home of Mrs Hill, and over 5 years mountains of garments (1626 woolens alone) were sent for dispatch to the services, Merchant Navy and the blitzed people of Britain and Russia. On 25 November 1940, Miss Margaret Hardy returned to 'Bedford' to a sale of household goods, garments and fancy leather work which sold so quickly that when a reporter from the Herald arrived halfway through the day most of the goods had gone. This raised a huge £56 for deserving causes'. 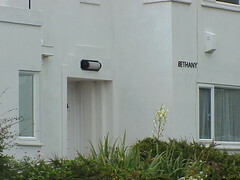 Bethany is now used as holiday accommodation. 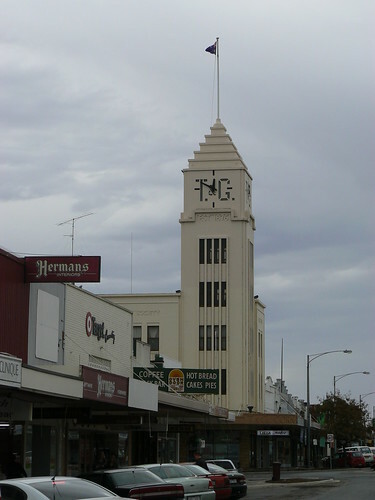 During the 1920s and 30s the T&G Mutual Life Assurance Society had a building in many cities and regional centres around Australia. As can be see from this thread on www.skyscrpaercity.com they often had a clock tower bearing the T&G letters with a stepped pyramid on top supporting a flagpole. In many cases they were the tallest building in town. 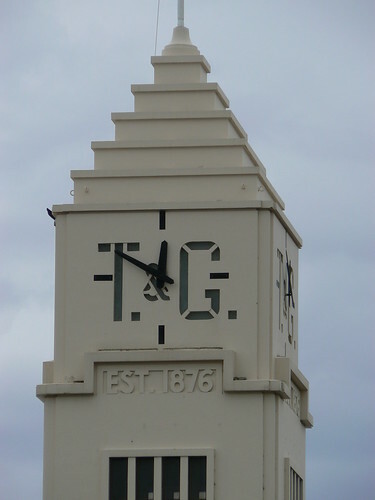 Horsham was no different and in this case the T&G lettering forms the clock face and is cut out from the wall of the tower. 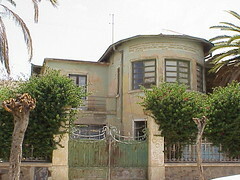 This is a typical residence in the Villa district of Asmara. Obviously it has seen better days bvut there is a glimpse of fabulous villa where perhaps wealthy Italians could spend an interwar winter in North African sunshine. I think it is interesting to see the heavy wooden window frames in the rounded section of the building. I think elsewhere these would be slimline metal windows and the do look a bit clunky here. The other thing of note it the pair wrought iron gates and indeed the metal fence partially hidden under the garden foliage. They were almost certainly locally made as many gates, fences and window shutters are still made today by an cliche of craftsmen (and boys) in another part of the city. Anzac Day, April 25, is a special day in Australia and New Zealand. On April 25 1915, the Australian and New Zealand Army Corps, the Anzacs, landed on the Gallipoli pennisula leading a heroic, if doomed, assault against the Turkish defenders. So now, at war memorials all over Australia and New Zealand, commemoration services are held for those who perished in all armed conflicts. The Wikipedia Anzac Day entry is excellent for backgound information but also because it features a photo of the commemoration service at Port Melbourne from 2005. This is the local service for me but is also significant because it overlooks the piers where many of those original Anzacs set sail for WWI and where they returned almost 5 years later at war's end. 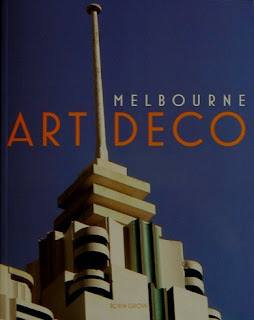 The photos on this page were actually taken on 26th April 2008 which marked the inaugural Art Deco Walk by the Adelaide Chapter of the Art Deco and Modernism Society. 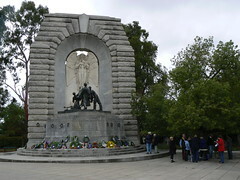 The South Australian National War Memorial in North Terrace was chosen as the meeting point and the wreaths are clearly visible fron the previous day's commemoration service. The notes from the walk tell an interesting story relating to the construction of this memorial. In 1919, shortly after the end of WWI, the South Australian State Government decided that a war memorial was required but due to issues with choosing a site and the destruction of the original five short-listed designs in a fire, it wasn't until January 1927, that the firm of Woods, Bagot, Jory and Laybourne-Smith were announced as the winners with their design entitled Spirit of Sacrifice. 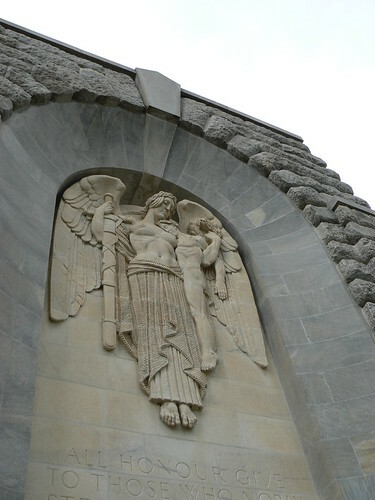 The memorial was eventually unveiled on 18th April 1931. The Napier suburb of Marewa probably offers the best collection of this style of modernist house in New Zealand but there are other isolated exampled elsewhere in the country. 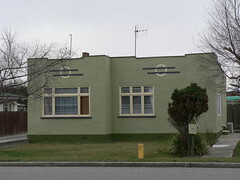 On the South Island there is a modernist house in Kaikoura and this one in Ranfurly. It is a very modest home and no doubt was easy and inexpensive to construct. But they still took the time and effort to add some decoration and even a little stepped-down kink in the roofline. I find it interesting that even the smaller of the two windows on the front of the house is divided into three sections. So. When you have spent eight days straight looking at Art Deco builings and attending presentations on Art Deco, do you start to see Art Deco everywhere? I used to go past this charming little deco factory on my way into the city. I still go past this spot, often, but the area is unrecognisable with the Melbourne Exhibition Centre and now the new Convention Centre and Hilton Hotel filling the space. I guess this building was demolished in the mid-1990s but I can't remember exactly. 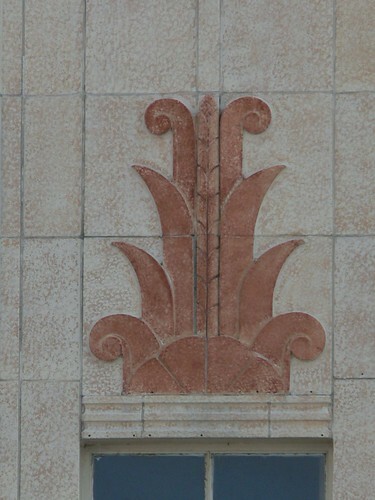 I don't even know if I knew it was art deco but it interested me enough to take a picture of it. Looking at the picture now, I am drawn to the fabulous stepped roofline with the rounded ends and horizontal lines capped off by a pattern of vertical lines employing the rule of three. My photo shows Dane Taylor during its final months. The buildings on the near side of the road had already been demolished so I was able to get far enough away to get a half-decent picture. You can see an out-of-focus mound of builders sand in the bottom left foreground. 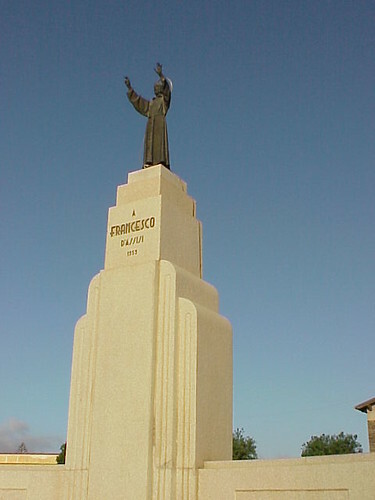 This art deco style monument to St Francis of Assisi dating from 1953 is outside the St Francesco church in Asmara. 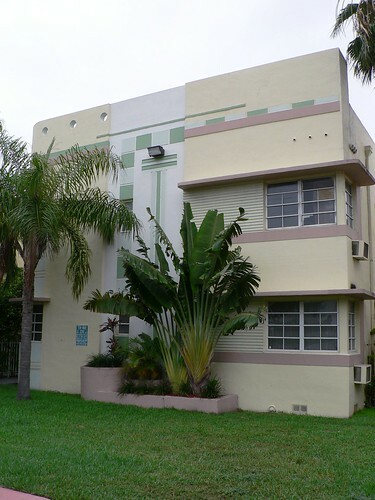 There is a lot I like about this apartment block in Miami South Beach. Firstly, the chequerboard pattern above the second storey window and down through the small vertical windows to the concrete planter at ground level. Next to the main windows an incredible number of horizontal lines, I'm not sure of they are speeding or not but they certainly exceed the rule of three. Those window don't actually cut into the corner of the building as there is a supporting column there but the deep eyebrow providing shade creates the illusion that the window is set back into the building. Lastly the corner furthest from our view behind the palm tree is curves and at the roofline there is three small portholes. 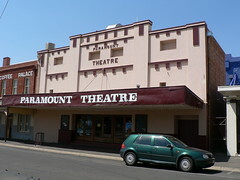 According to this report on a CATHS Cinema tour in October 2002, the Paramount Theatre in Maryborough was built in 1927. Looking at it I would say it was from an earlier time but perhaps that is a reflection of the conservatism of regional Victoria at the time. The building looks in good condition with the contrasting colours of pink and burgany. Even that marquee which has suffered from bumps from the local delivery vans doesn't look too bad. 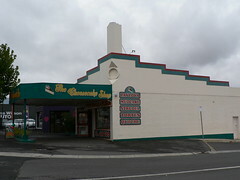 It now operates as a twin-cinema showing first-run movies. I had a very exciting day today. 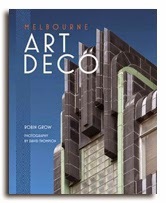 Robin Grow, President of the Art Deco and Modernist Society dropped by with a copy of his book Melbourne Art Deco. It is so hot off the presses that he has only received a few copies so far. Of course my interest are the photos. Robin used a lot of my photos in the book and we had a lot of fun reviewing images I already had and going around and taking new ones to fit in with the text. I am very pleased with the end result. The book is 140 pages, soft cover with lots and lots of colour photos. Ten chapters cover topics should as Place of Business, Places to Relax, Places to Live In, Places to Shop, Melbourne on the Move and The Devil is in the Details. 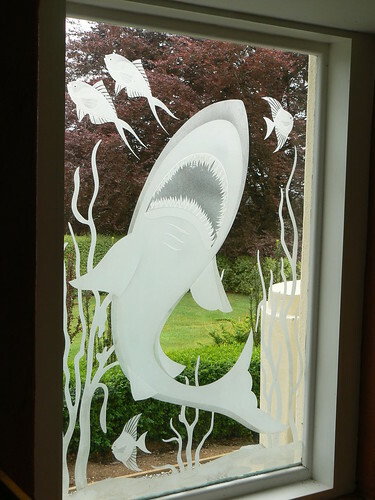 I think my favourite picture is the etched-glass shark from Dalcrombie in the Dandenongs. Robin will get the main shipment of books in the next month or so and then the hard job of flogging them will start. 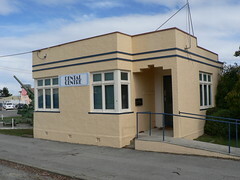 On the South Island of New Zealand the town of Ranfurly has reinvented itself as a centre for rural Art Deco. 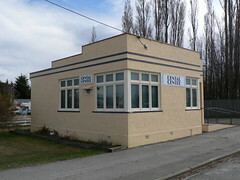 One of the later buildings on the Rural Art Deco Ranfurly Walk in the Dental Centre which was built in 1950 by Teddy Woods, the first dentist in the Ranfurly area. This is a nice little building with a stepped roofline, very simple decoration consisting of two horizontal lines running in parallel around the facade and windows set back into the corner. The entrance is set back from the footpath allowing for a (modern?) 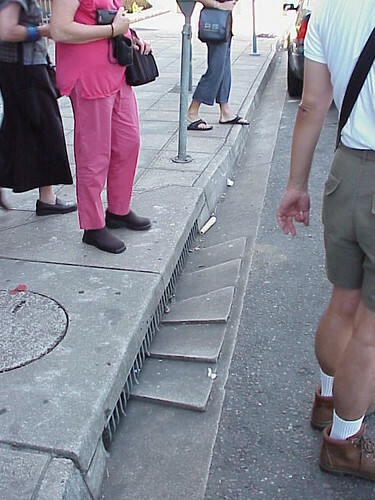 ramp to be incorporated without affecting the face of the building. The porch has a nice feature of a stepped top to the entrance. I think the signage is a bit Hollywood but they could be a lot worse. 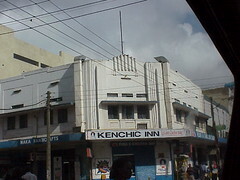 Kenchic Inns are a chain franchaise fast-food restaurants in Kenya. I snapped this store in Nairobi, obviously attracted by a flash of deco, from the back of a mini-van. Of course, what I didn't notice at the time was the wonderful way the two vents from the extractor fans have been diguised on the facade. All they had to do was stand back and have a thnk about where they could be placed and then paint the metal vent the same colour as the building up to the roofline. 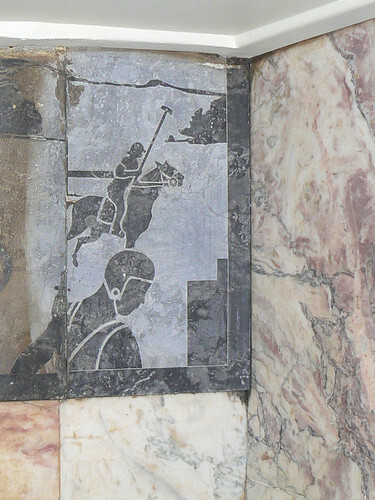 An excellent solution that preserves the look of the original decoration. 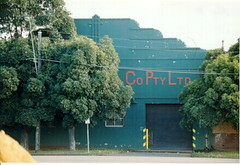 This is an old favourite of mine taken about 1998 in Braybrook in the western suburbs of Melbourne. Last time I went past the trees had grown a lot and obscured most of the building but the Klipspringer Tennis String Factory is still fabulous. This Cheesecake Shop in Bendigo looks like a former service station to me with the driveway now providing undercover parking for people picking up their desserts and cakes. The roof steps down from the vertical fin on the corner of the building. Decorated in the corporate livery it really makes the shop stand out. Another interesting feature is the porthole set back where the front and side wall meet. I don't know whether this is a window that has been covered or if it was an original design feature. Just on a year ago I wrote about Lonsdale House in Melbourne and its possible demolition as part of the redevelopment of the Lonsdale Street Myer store. As reported in today's Age the battle to save the building continues with the Art Deco and Modernism Socety and National Trust on one side, Colonial First State Management Company and Myer on the other and the State Planning Minister, Justin Madden in the middle. In 1934, architect I G Anderson combined two earlier structures to create this unusual building which explains the asymetrical look. Colonial have applied to the State Government for permission to demolish Lonsdale House. They are quoted as saying "Caledonian Lane needs to be widened to cater for the servicing requirements of this part of the city's retail core, and this necessitates the demolition of Lonsdale House". 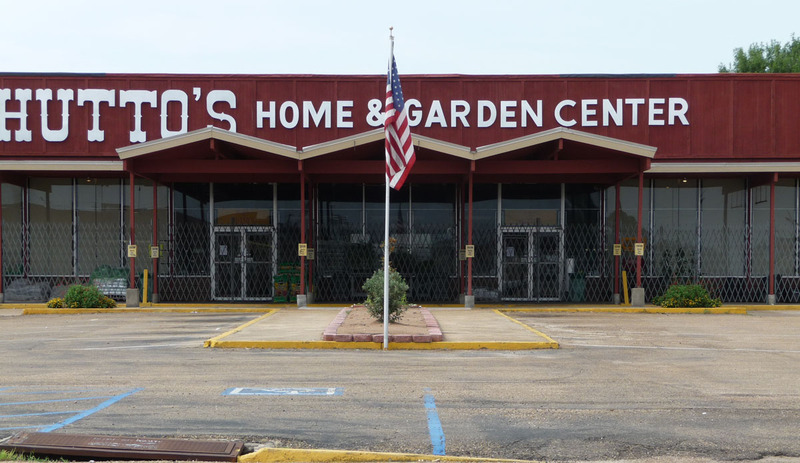 In other words, we need to destroy this beautiful building so we can get the trucks into the back of our shop. Colonial go on to say "We are proposing to retain the major heritage facades to Lonsdale Street and Little Bourke Street without compromising the future functionality of the redevelopment of this iconic site." 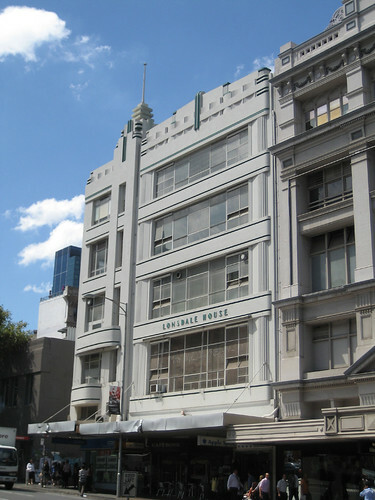 No doubt the 'major heritage facades' refer to the Myer itself, not Lonsdale House. The geometric tower on Lonsdale House is a Melbourne icon. I urge Colonial First State Property Management and Myer to find a way to retain this iconic building rather than have their names forever associated with this act of corporate vandalism. I further urge Minister Justin Madden to reject their application and protect this wonderful piece of Melbourne heritage. 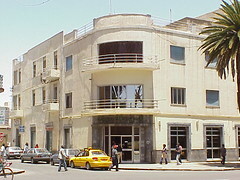 There are so many fantastic buildings in Asmara that sometimes you don't know where to look next. This is Bar Royal, a chic cafe on a busy corner. And it is the way that this building addresses the corner that makes it stand out. The facade is quite plain and curves in a smooth arc around the corner with the cafe entrance set back a little from the footpath. 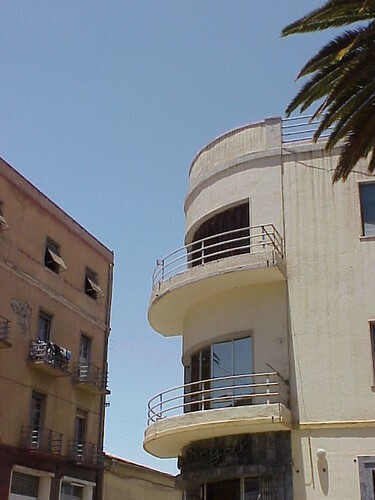 Above the door, two metal-railed balconies follow the curve of the building. It goes some way to explaining what an extraordinary place Asmara is to say that this is just another building in this amazing city. 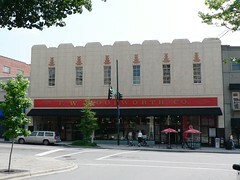 This 1938 former F W Woolworth Co store in Asheville, North Carolina has been setup as Woolworth Walk, a space designed to showcase the works of local artists. Inside, a classic American soda fountain has been recreated. 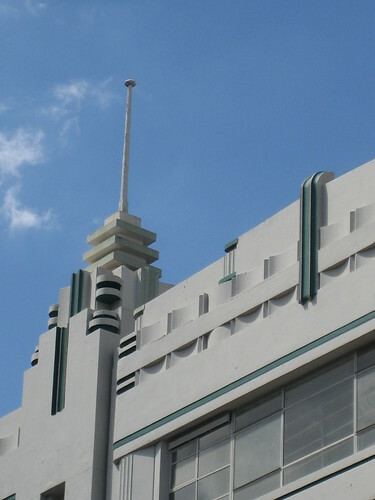 Not only is it excellent that the building has been reused but in a similiar way to the Hoover Building in London, the original signage has been retained. Seen in close-up, the decoration above each of the windows on the facade is quite spectacular. Like many London Underground stations from the 1930s, Boston Manor was designed by architect Charles Holden. 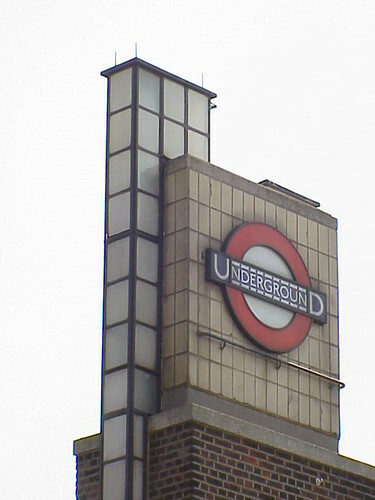 The resulting building is a low square structure with a circular ticket box at one end and rising above it a brick tower bearing the London Underground roundel. 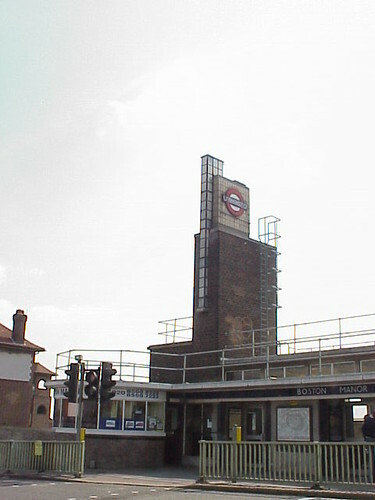 The leading edge of the tower is made of glass which is light up at night to further draw attention to the tube station from the surrounding district. 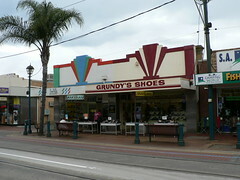 This matching pair of art deco shops are in jetty Road, Glenelg. As we look at them, Judd's the more colorful of the two is on the left and Grundy's Shoes is on the right. 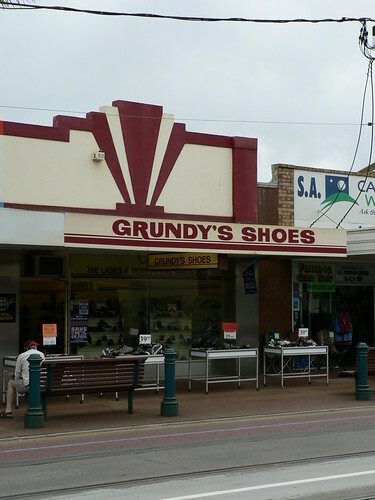 I think the two-tone decoration of Grundy's works better that the multi-colour detailing on Judd's. 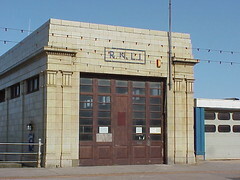 I see in the March 25th editon of the Blackpool Gazette the 1937 former lifeboat station on the Promenade has been demolished by the local Council. Apparantly it was in the way of their new sea defences and couldn't be saved. 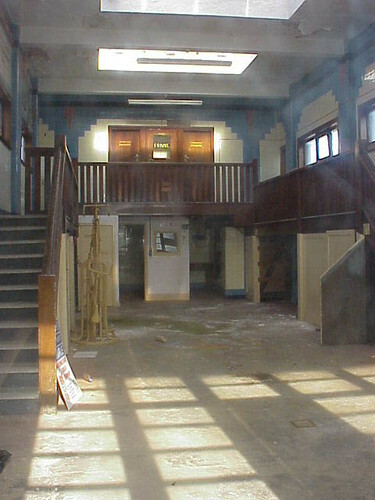 I photographed it in 2001 when it appeared to be empty. By that stage the lifeboat crew had a new station further along the shore. Since then, though, this building has been used as a beachside kiosk selling buckets and sapdes, ice creams and, no doubt, Blackpool Rock as can be seen in Mike Key's 2006 photo on flickr. I had a glimpse inside through the dusty windows and to me it looked magical illuminated by shafts of sunlight. 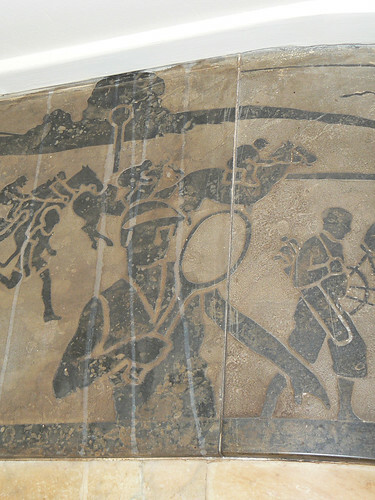 The stepped decoration of the white tiles against the blue on the mezzazine level are pure deco and you can just make out more decoration with narrow orange tiles. Anyway, it's all gone now. 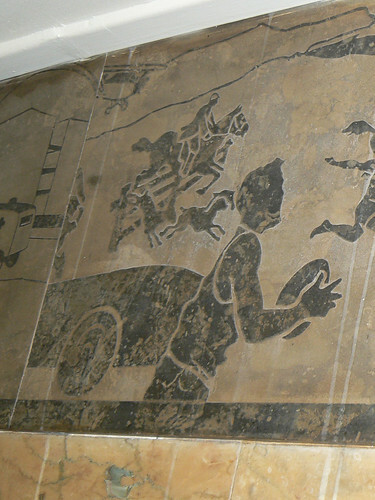 The foyer of the Manchester Unity Building (Marcus Barlow, 1932) features many panels depicting aspects of Australian life, the services of the Manchester Unity IOOF, virtues and other themes. 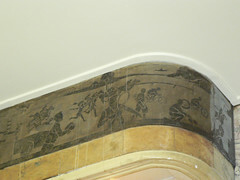 The most obvious panels are made of plaster and form the cornice of the foyer and shopping arcade. Variations and different styles are presented on other floors and in the fabulous boardroom. Less obvious are the black panels above the escalator and there are still others on the other side of the ceiling recess that are difficult to see except while riding the escalator. 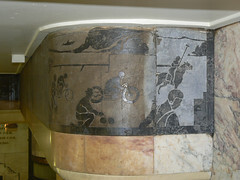 One particular panel which curves around near the top of the escalator shows many types of sport including a rare depiction of Australian Rules Football in art deco style. A surprising aspect of the panel is that cricket is not very prominent. 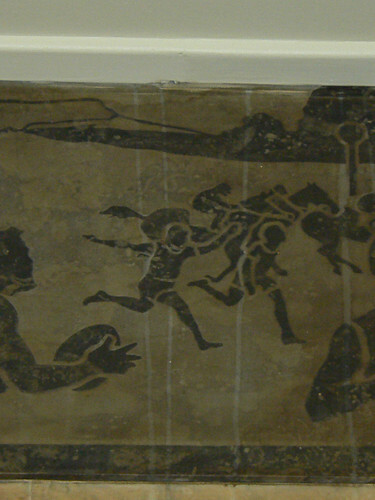 In this section of the panel there is an aeroplane in the top left and directly below that, a batsman at the completion of a shot. In comparison, the foxhunting (? ), racing car and in particular the footballer are very prominent. 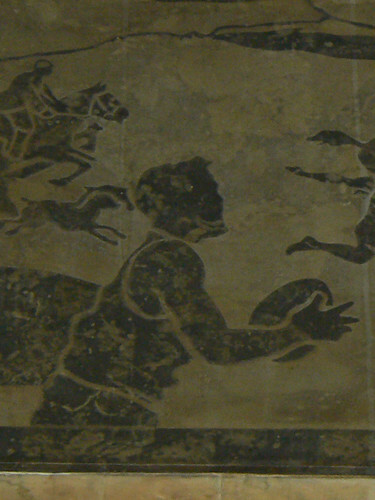 Further along the panel, there is athletics. And the sport of kings and Aussie battlers, horse racing. Also tennis and golf. 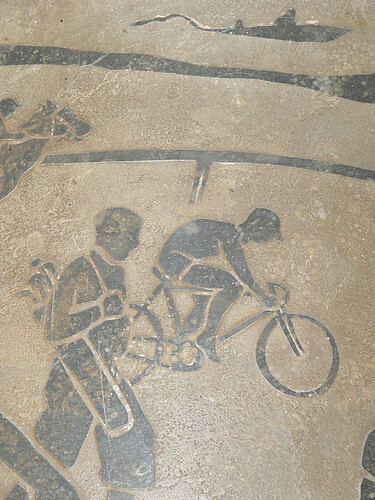 As the panel curves around the corner there is a cyclist and a fantastic little speedboat racing across the lae at the top of the scene. 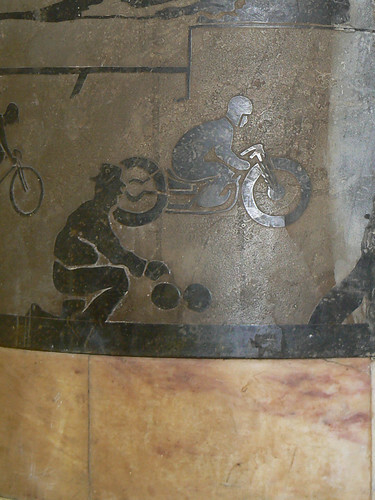 The mainstay of many Australian communities, lawn bowls, is represented below a classic 30s motorcyclist. Finishing off the selection of sports is polo and an iconic Australian lifesaver. But I'll admit I'm a footy tragic and this guy is my favourite.